Aqours (pronounced “aqua”) is the school idol group formed in Uchiura, Shizuoka, for the multimedia project “Love Live! Sunshine!!”. The project started in April 2015 and spread across various media including CDs, live events, magazines, and mobile apps. The first single “Kimi no Kokoro wa Kagayaiteru kai?” was released in October 2015. The TV anime aired in summer 2016, and they had their first live shows at Yokohama Arena on February 25 and 26, 2017, which attracted 12,000 fans each day. 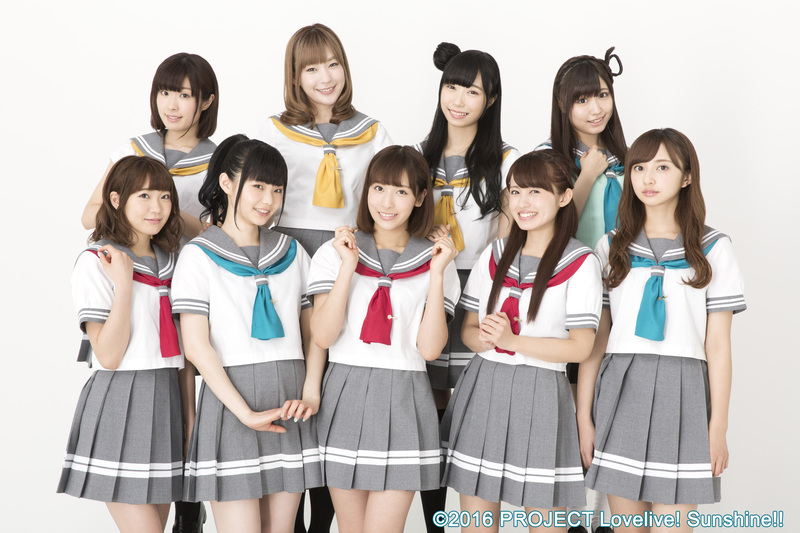 Their future project “”Aqours Next Step! Project”” includes a second anime season, tour, and CD releases.